Delivered in 2015 by the respected shipyard Palmer Johnson and brand new to the charter market, the 49m (160'9) SuperSport Khalilah is not just eye catching in colour. Her specification is as sophisticated as it is revolutionary. 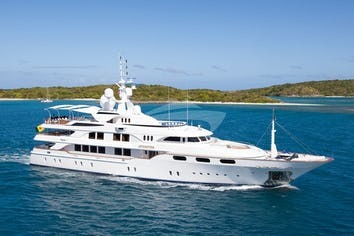 Despite her masculine and sporty styling, an aerial view of Khalilah will in fact show the shape of a curvaceous woman. 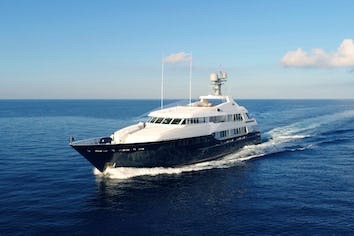 The largest carbon yacht built, she is light, fast and economical on fuel. 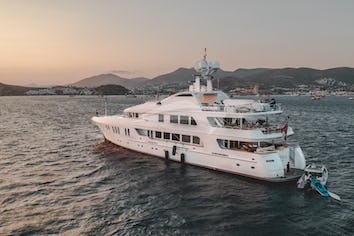 Her huge 10.8m beam provides excellent stability thanks to the two sponsons, removing the need for zero speed stabilisers, even when cruising at 27 knots. With her experienced crew of nine, Khalilah is the ultimate yacht everyone will want to be seen on board this summer.